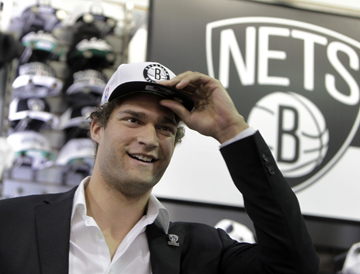 The Brooklyn Nets will be featured in a behind-the-scenes series on both NBA TV and NBA.com. The league's network announced recently that it will spotlight the team on “The Association” in its inaugural season in the New York borough. This is the fourth straight season that the “The Association” has followed a team. Previously, it spotlighted the Los Angeles Lakers (2009-10), Boston Celtics (2010-11), and Denver Nuggets (2011-12). The Nets series will tip off on Oct. 16.